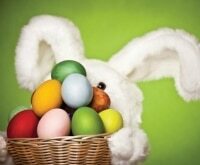 With Easter just a few weeks away, it’s time to start stocking up on treats and sweets to fill up Easter baskets! 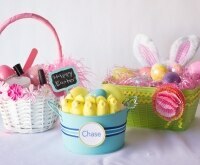 The typical basket fillers include chocolate bunnies, candy eggs and jelly beans. But if you’re looking to include a few non-candy, sugar-free treats this year, we’ve got you covered! 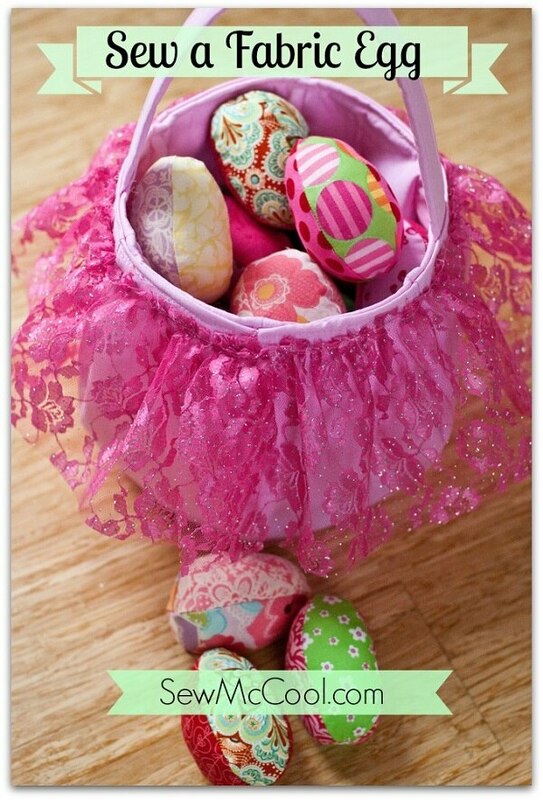 Check out these 20 creative, silly, and savvy Easter ideas! You’re sure to find just the right treat for everyone in your family! 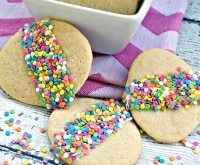 Instead of filling baskets with sugar-laden treats, a simple homemade gift will make everyone feel just as sweet! 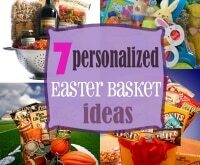 And if you want to go the extra mile, personalize everyone’s baskets with these great ideas! Perfect for baking or crafting, this simple apron can be made in bright Spring-time fabrics for the little creative in your family! 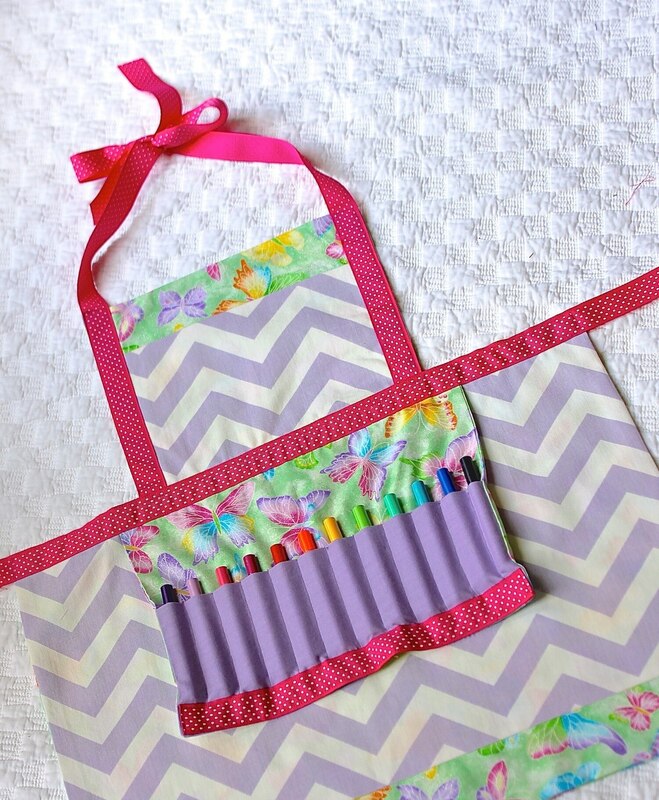 Find detailed instructions on how to make this apron here! 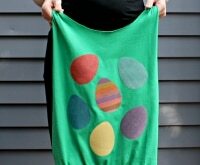 Fabric eggs are a simple and fun project to use up your pastel-colored prints; and they can be used for playtime long after the Easter Bunny has made his rounds! Every Easter basket needs a plush little bunny. 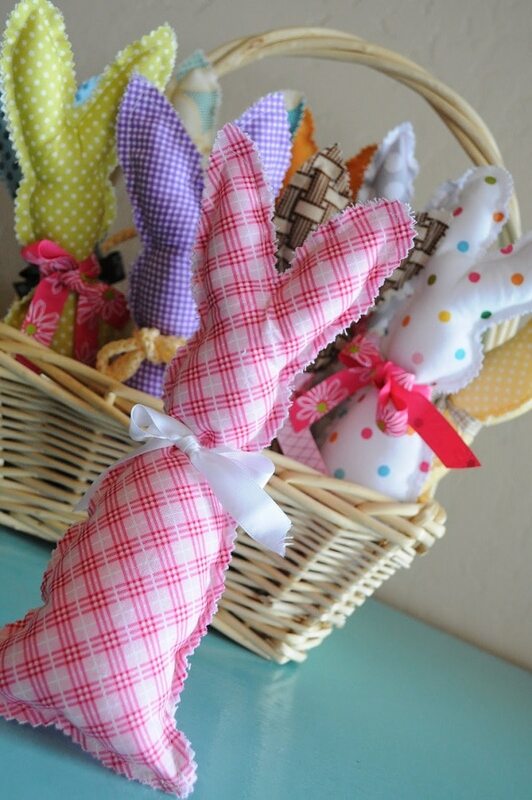 These homemade bunnies are simple and oh-so-lovable. Whip out a bunch in all different fabrics so each person has their own unique one! 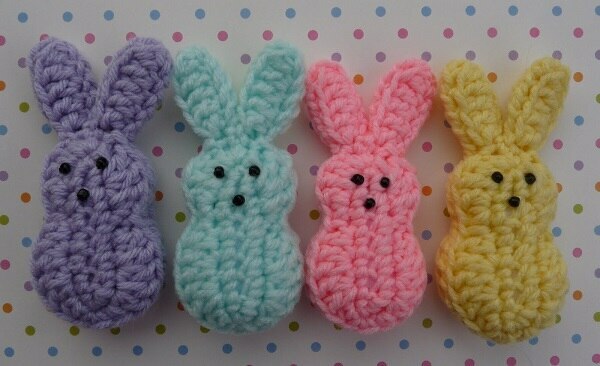 Replace the sugary Peeps with this adorable yarn version! 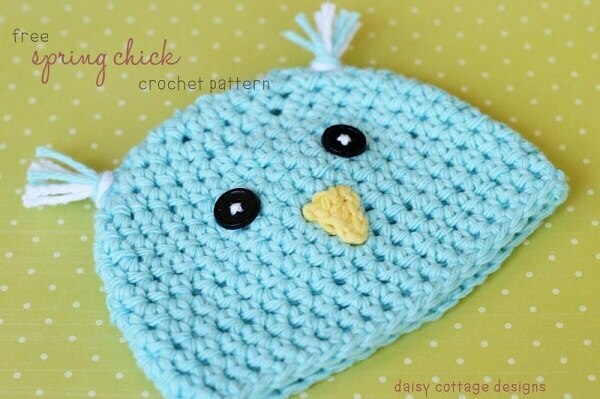 The free pattern shows you just how to make them in all the candy colors. Everyone needs an Easter bonnet. Tuck in a handmade Spring-themed cap that can be worn all day long! 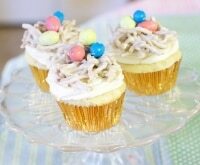 If you’re trying to stay away from candy, you can always tuck healthier treats into everyone’s Easter baskets. 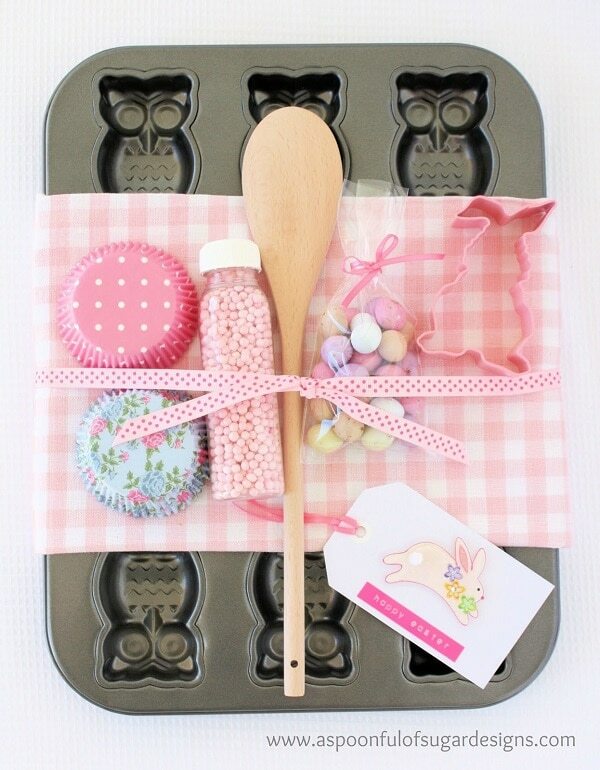 With some clever packaging, no one will miss the more sugary goodies! 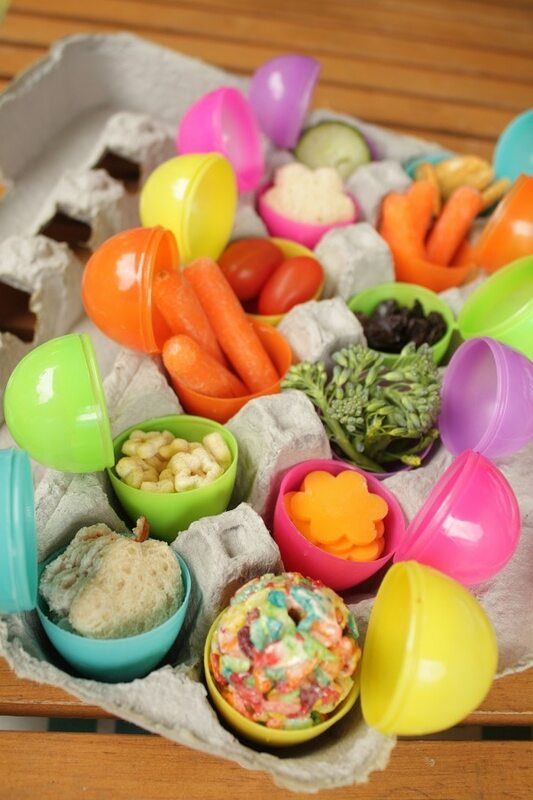 Put healthy foods, such as carrots, raisins, broccoli, pretzels, and home-made cookies into plastic eggs. Serve them together to make a fun little meal or hide them to make a seek-and-find salad bar! No one can resist these scrumptious little orange crackers. 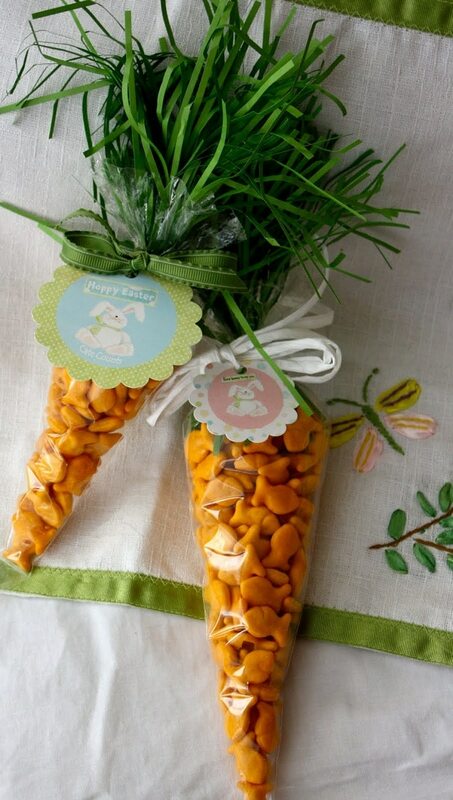 Load them into icing bags and top off with green ribbon or faux grass to make festive and decorative snack packs! 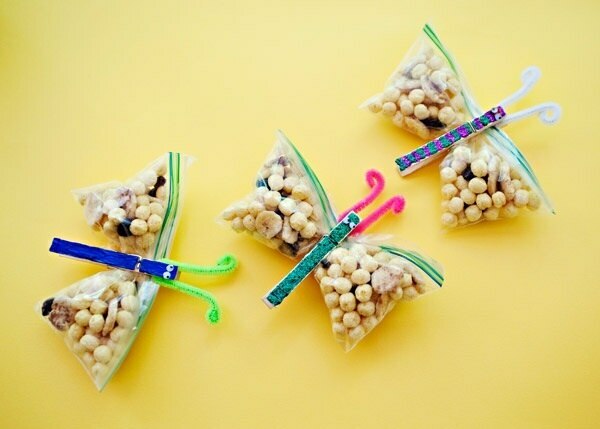 Load your favorite healthy snacks into sealed plastic bags. 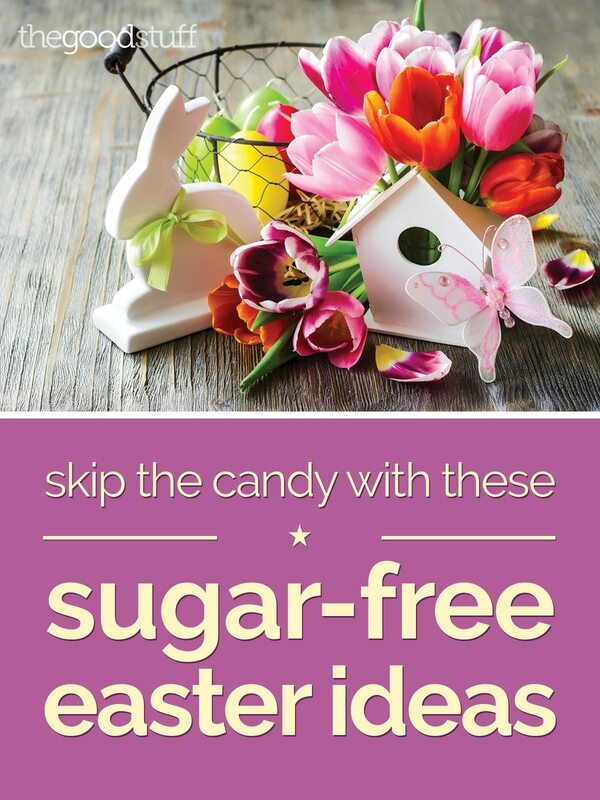 Add a decorated clothespin, and you’ve got perfect Spring-time treats everyone will enjoy finding. 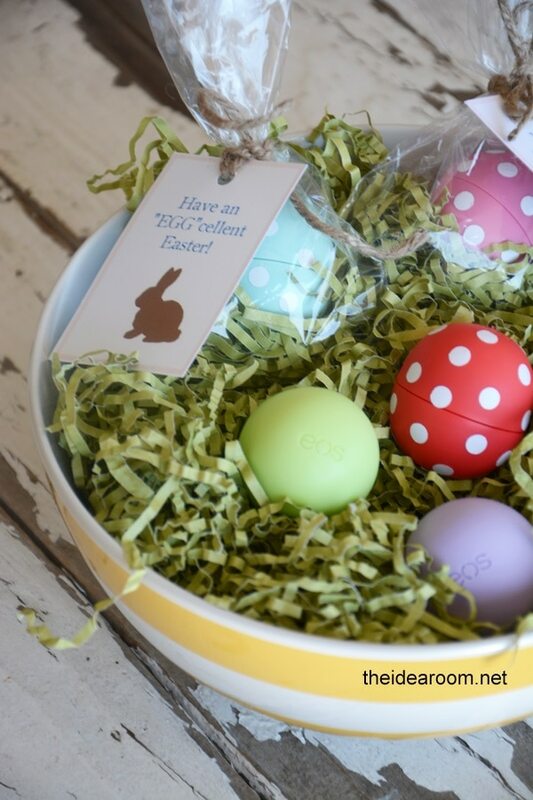 Easter-time is the perfect occasion to refresh your beauty supplies! Cleverly packaged beauty products are the perfect basket addition for little girls, tweens, teens and adults. 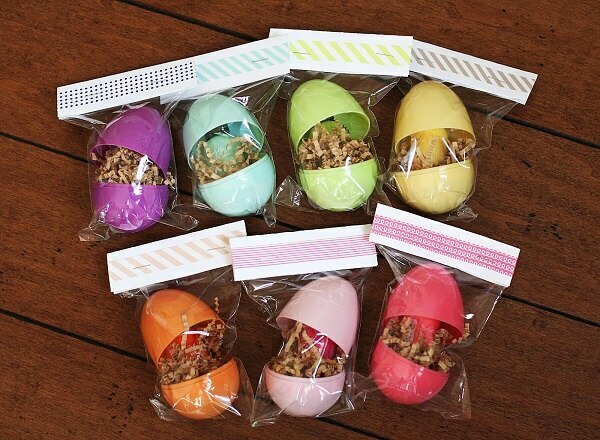 Mini nail polishes, coordinated with and tucked into plastic eggs, are a fun surprise for the beauty savvy egg hunter! Eos lip balms already come in the cutest egg-like packaging. 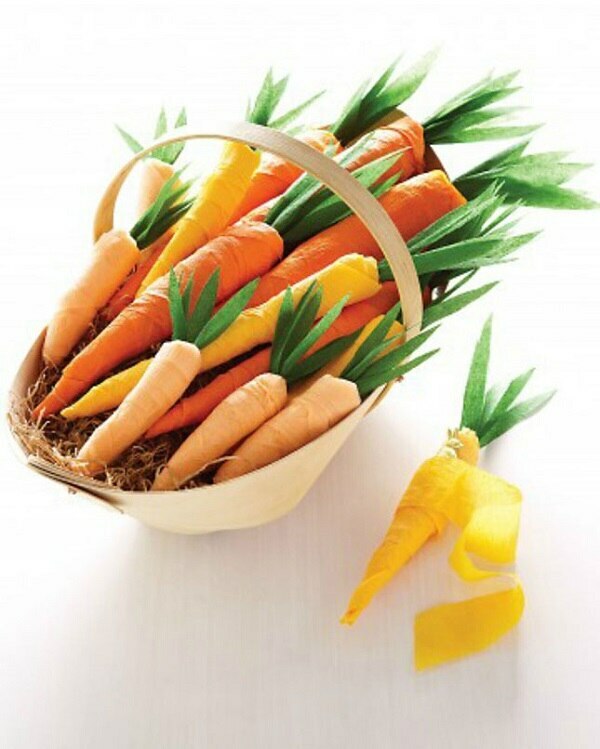 Tuck a bunch into a beauty-themed basket or give them out as favors at your Easter gathering. 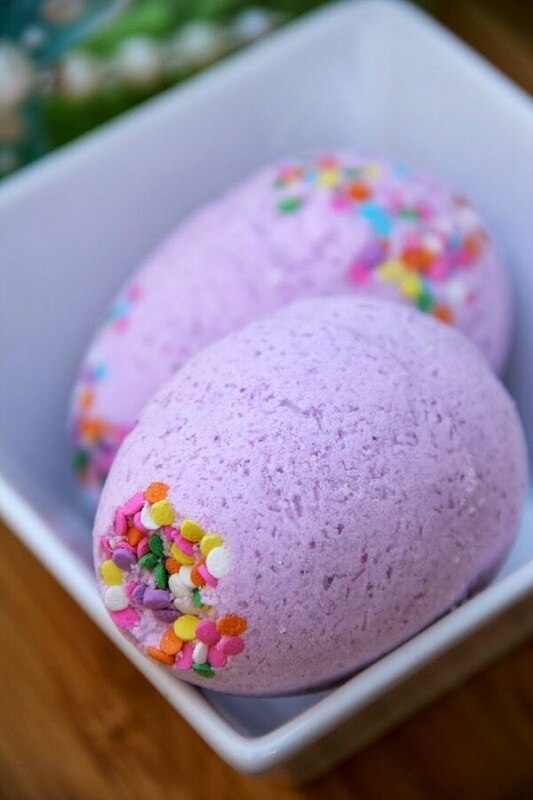 These pretty eggs make for the best bubble bath. 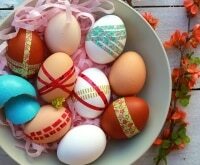 They’re simple to make, and you get the egg shape by using plastic eggs as molds! 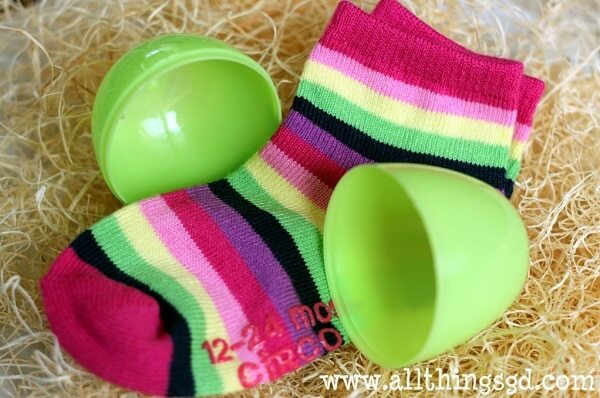 All sorts of little gifts can be tucked into plastic eggs and Easter baskets. Check out these great ideas for adding a little something extra to all the candy. Need a few more ideas, check out some great gift ideas here! 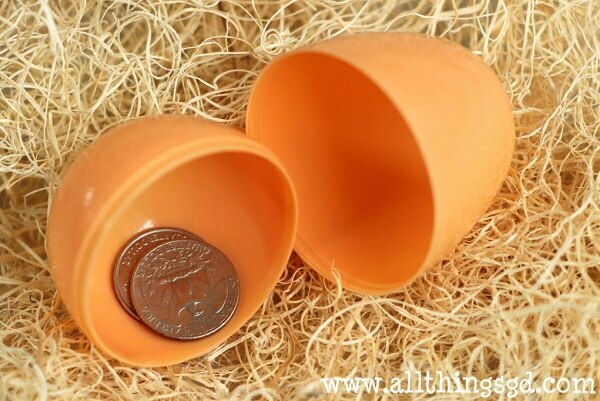 Opening a plastic egg to find coins is a sweet, sweet surprise. Make it extra special by including silver dollars or even dollar bills! Everyone loves to wear bright fun socks. Roll up light-weight pairs into small bundles and tuck them into plastic eggs! No one will guess what’s inside! 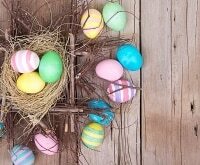 If your little gifts can’t be stuffed into plastic eggs, use this clever technique to wrap up almost any small gift. Consider picking a few coordinated gifts for everyone’s favorite hobby. Group some inexpensive items together and tie with a bow for a put-together look! Filling Easter eggs and baskets is (mostly) for the little ones! 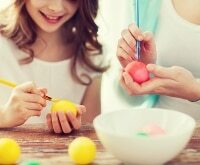 To keep them from being on a sugar high all day, try these super fun games and gifts! 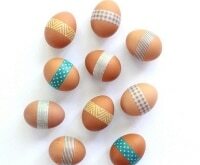 Teach the kids the reason for the season with these eggs that tell the Easter story. 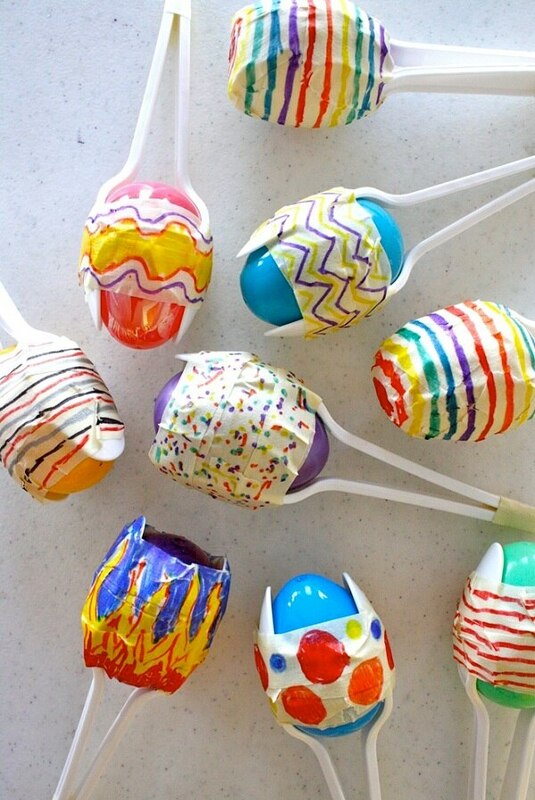 Little kids are sure to have a blast playing with these Easter egg maracas. Simply fill eggs with popcorn kernels and tape to spoons! 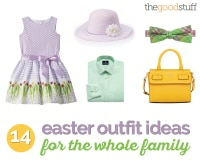 Such a fun and festive way to ring in the Easter season! 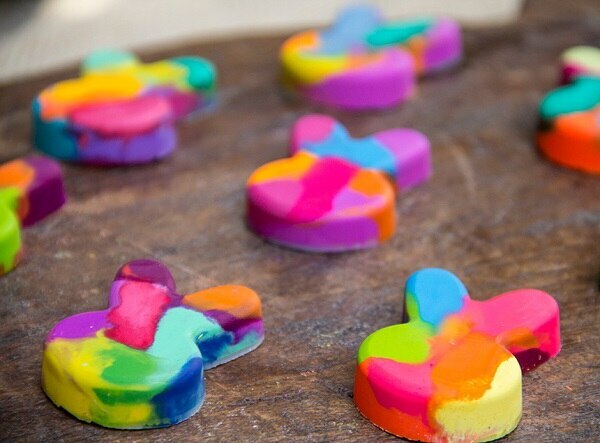 Kids will love creating works of art with bunny-shaped crayons. Pair them with a coloring book, and the kids will be entertained for hours! No kid will miss the candy when Play Dough is in play! Buy or make your own orange dough. 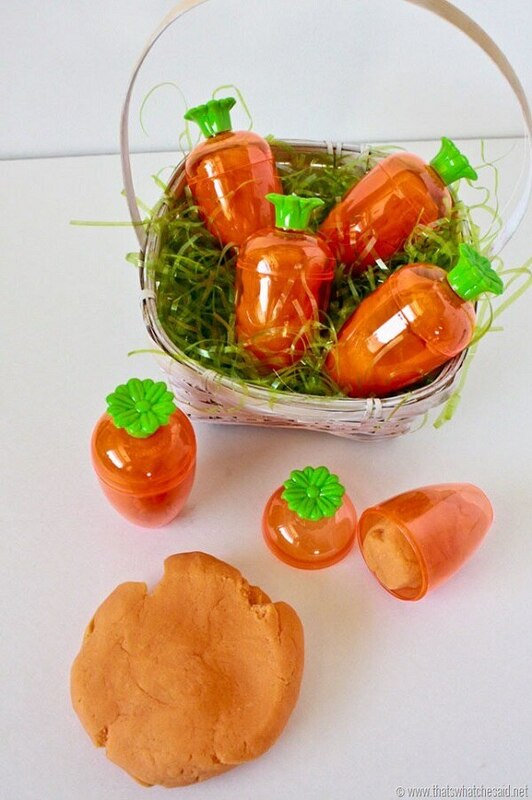 Then load it into these adorable plastic containers for a surprise your kids will love! 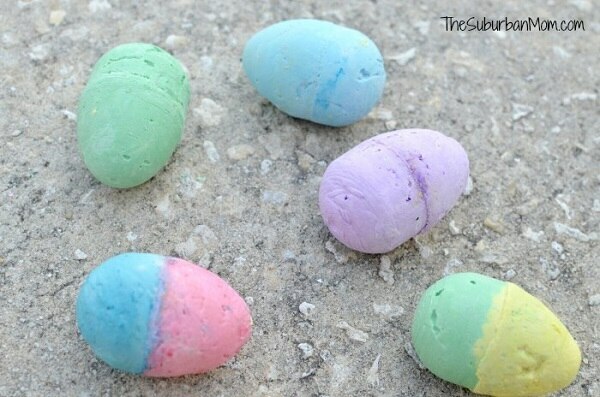 Make a batch of chalk eggs and let the kids go to town decorating the sidewalks, driveway and porch! 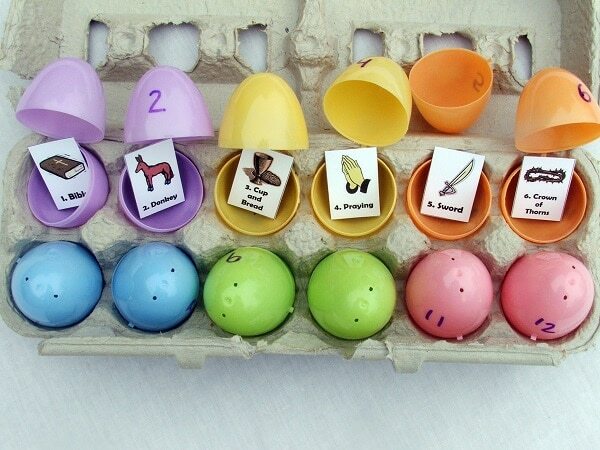 The kids will love hunting these eggs down then getting to create works of art! 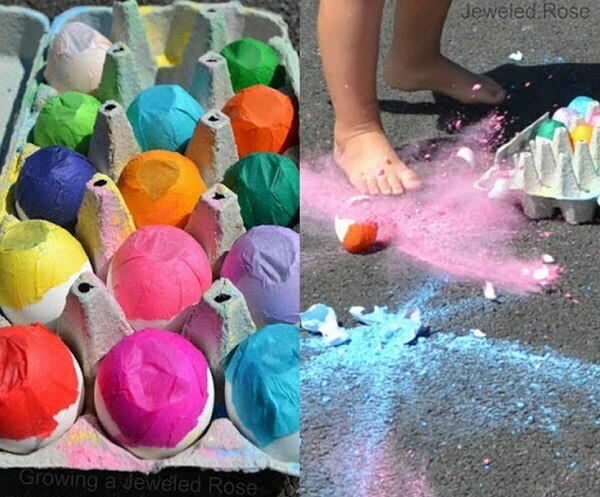 Let the kids make a big mess this Easter with these fun chalk powder bombs. 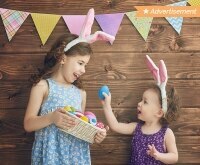 Just have them change out of their Easter best before letting them all go!